Sign up for free on Eventbrite, link here. 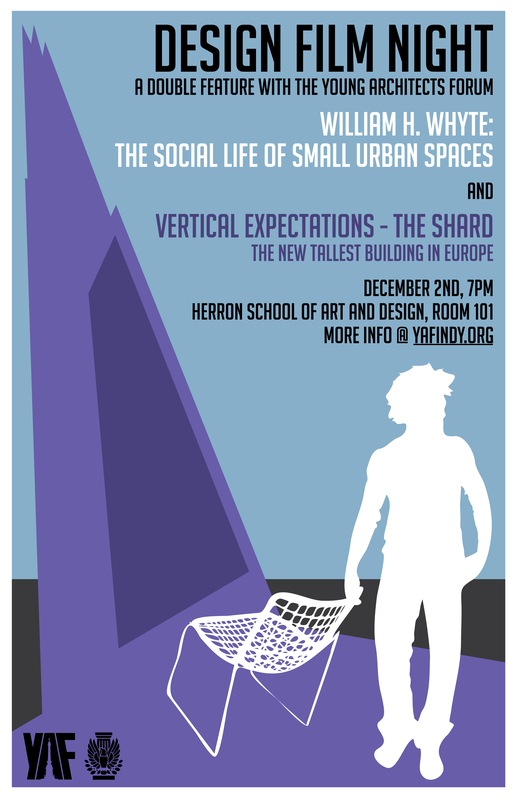 The YAF is hosting an architectural movie night at the Herron School of Art and Design. We will be watching two films about architecture, design, and the urban environment. Anyone and everyone is invited, we hope it will change the way you see and understand public spaces. Stay around afterwards for discussions. “The Shard, is a skyscraper under construction in London Bridge, London. When completed in 2012, it will be the tallest building in the European Union and the 45th tallest building in the world. Vertical Expectations is a 26 minutes documentary that explores the nexus between architecture, development and society through an ethnographic analysis of the current building of the Shard.